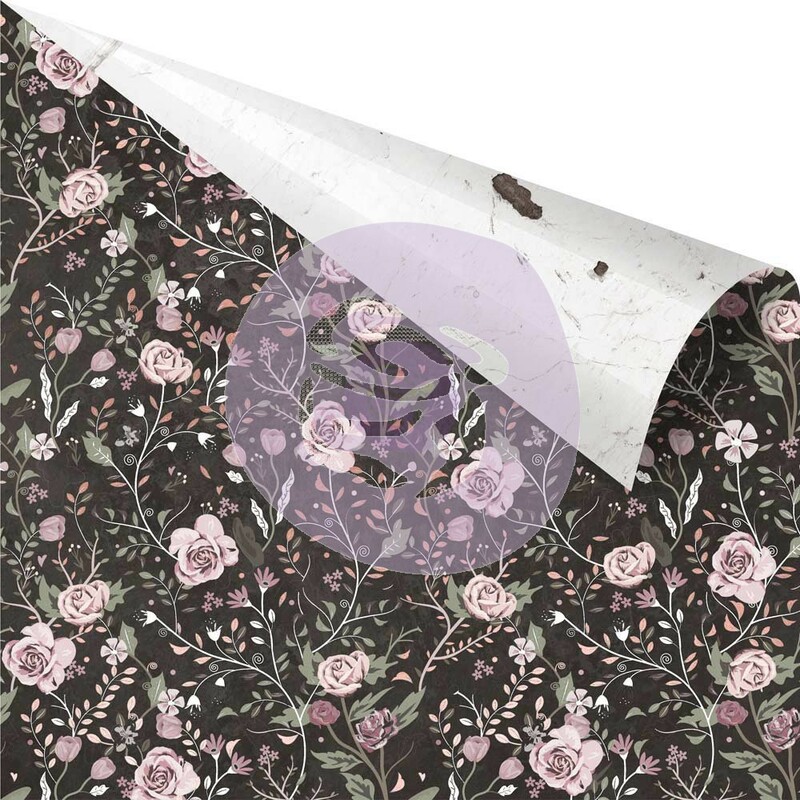 This 12x12 double sided paper has beautiful Roses & Vines that are embellished with Rose Quartz Foil on the frontside. The reverse side has a white marble appearance. Part of the Rose Quartz Collection by Prima Marketing Inc. Look for coordinating Papers, Journaling Cards, Ephemera Pieces and other Florals.